All types of wild animals are protected by the Nature Protection Law of the Federal Republic of Germany. It is not permissible to kill insects such as wasps, bees and hornets without good reason. • Avoid quick or sudden movement in their presence. • Don’t attack them and don’t destroy the nest. Contact the garrison’s Directorate of Public Works Environmental Division or the local Fire Department for help with removal. • Be careful while gardening or playing outside. • Perspiration and perfumes attract bees or wasps. • Cover kids buggies and strollers with netting. • Keep trash dumpsters closed and clean. Avoid open garbage bags. Avoid placing food leftovers directly in the dumpsters. Place inside dumpster only closed garbage bags. • Be careful when eating / having a picnic outdoors. Avoid leaving food/sweets open, and cover leftover food as well as drinks (glass, can), use a fine drinking straw. • Attract and distract bees or wasps with other food, for example by placing a glass with apple juice at a safe distance. • Preventive measure: wasps don’t like strong smells. Use lemon (slices) with cloves or burn coffee powder at your table. • In case of a sting, keep cool, and cool the wound. Under normal circumstances, there is no serious risk for people, however, it is dangerous for people with bee allergies. • All allergic persons must be prepared with an emergency medicine and must contact a doctor and the ambulance immediately. Wasps are very common insects during summertime in Germany. The German wasp is also known as the yellow jacket wasp due to the color of its body. Their abdomens are attached to their thorax by a slender waist. Females have a stinger for piercing and poisoning. Adult wasps feed mostly on nectar, but their larvae feed on insects or pollen provided by the female worker. Wasps build up large populations and often scavenge for human food such as carbonated beverages, fruits and vegetables, candy, meat, etc. at outside restaurants, bakeries, campsites, and other outdoor get-togethers. Often they are attracted by garbage cans. Although wasps are considered quite beneficial to agriculture since they feed abundantly on harmful flies and caterpillars, it is their aggressiveness and painful stinging ability that often cause concern. Wasp colonies appear annually with only inseminated queens surviving through the winter. Warm days in April or early May encourage the queen to emerge, select a nest site in protected places like hollow logs, in a stump, under bark, in soil cavities, or in a man-made structure, and build a small paper nest in which eggs will be laid. These paper nests are expanded throughout the summer and can then house 4,000 to 5,000 worker wasps with 10,000 to 15,000 brood cells by late September. In autumn, all wasps apart from fertilized queens die and the nest is abandoned. Abandoned nests in nature rapidly decompose and disintegrate during the winter. Nests inside structures will persist as long as they are dry. Nests are not used again by wasps but can be reused by other insects. Do not panic when you are approached by wasps. Sudden moves often make them feel threatened, resulting in stings. If you have been stung, cool the wound by applying ice. Medical advice should be sought, if you have been stung a number of times or have difficulty breathing or experiences dizziness and nausea or allergic symptoms occur. If you have a wasp nest at your house, or observe single wasps starting to build a nest, do not try to remove the nest yourself. On-Post, residents and offices should contact DPW to remove the nest. Off-Post, contact building management. Avoiding unsafe behavior around wasps and their nests helps to prevent stings from wasps as they typically only sting when they feel threatened, e.g., by quick movements or when their nests are damaged. Stings will result in mild irritation or swelling; however, in some cases they can cause allergic reactions that require immediate medical attention. Normal wasp sting symptoms include pain, swelling, redness and itchiness. A person should seek medical attention in the event he or she is stung a number of times or has difficulty breathing or experiences dizziness and nausea. Bees in Germany typically come out in May and June and are normally friendly. Photo courtesy of USAG Stuttgart DPW Environmental. Bees can be found on all continents except Antarctica. There are many different types of bees, both honey bees and wild bees. Worldwide, bees are important pollinators. They contribute in a large extent to the preservation of wild and cultivated plants and to their crops. Their ecological importance is significant. The body of a bee is divided into three parts: head, thorax (the middle part), and abdomen (the back part). Bees have three pairs of legs and two pairs of wings. Many bees are hairy and have yellow and black or orange and black warning colors. Bees have a barbed stinger that lodges in the victim’s skin. The stinger is torn loose from the bee’s abdomen after a sting and leads to the bee’s death in minutes. From May until the end of June bees may leave their current beehive and form a swarm searching for a new bee yard when their old yard became too small. If you observe a bee swarm, keep calm and do not interfere with the bees. When swarming, bees might be more nervous. Bess are normally friendly. If bees get confused, angry, or scared, they can sting. Similar to wasp stings, mild irritation or swelling can occur. However, in seldom cases people have allergic reactions that require immediate medical attention. Sting symptoms include pain, swelling, redness and itchiness at the wound. A person should seek medical attention, if he is stung several times or has difficulties breathing or experiences dizziness and nausea. When stung by a bee, quickly remove the stinger and cool the wound. Seek medical advice, if you were stung several times or experience difficulties breathing or experience dizziness, nausea, or allergic symptoms. Horents are larger and have a painful sting if disturbed or defending their nest. Photo courtesy of USAG Stuttgart DPW Environmental. Hornets belong to the family of wasps. They are larger than wasps. Some species can reach up to 5.5 cm in length. Hornets are often mischaracterized as very aggressive and dangerous and are greatly feared by some people. However, a sting from a European hornet isn’t more dangerous than any other wasp sting. European hornets are less aggressive than other wasps. However, workers will vigorously defend the nest, if provoked. The nest of a European Hornet is founded in spring by a fertilized female known as the Queen. The queen generally selects sheltered places such as dark hollow tree trunks, but buildings can also be used to build up a nest. A hornet’s sting is painful due to its large stinger; however, the toxin from a hornet sting is not stronger than that of other wasps. Allergic reactions can occur (see Bees). Hornets are not particularly aggressive except, when defending themselves or the nest. Hornets will sting in self-defence, when grabbed or stepped on. Hornets are attracted by lights at night, but are not attracted by human foods and food wastes. However, hornets heavily feed on ripe fruit, as other wasps do. Questions? 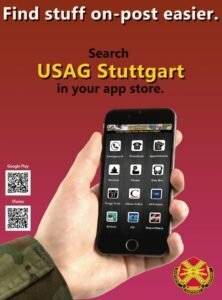 Contact USAG Stuttgart DPW Environmental Division at DSN 421-6130/civ. 0711-7228-6130.